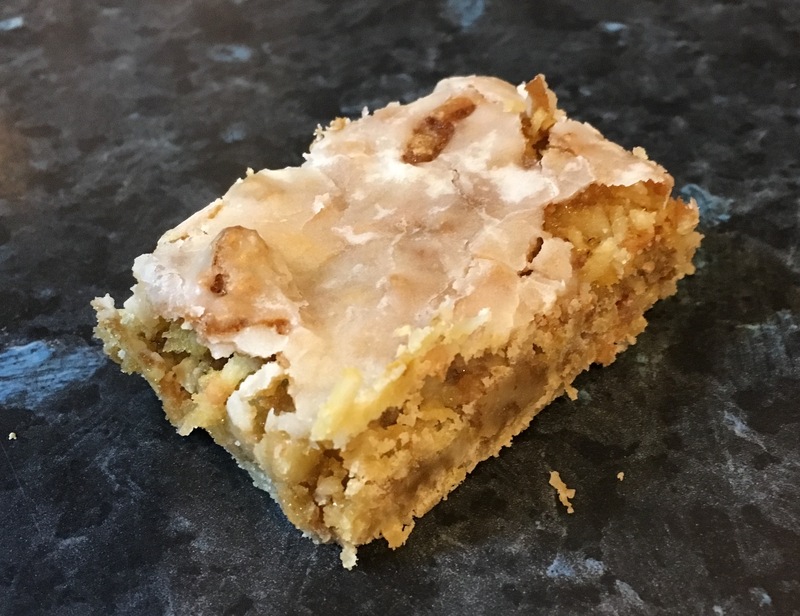 I made lemon coconut bars yesterday–a super easy recipe that I chose out of sheer laziness (and the fact I’d written ‘excellent’ beside it in the cookbook). As I bit into one of them today, I was struck that they taste like Christmas. Now, if you had asked me what Christmas tastes like, I would have said cinnamon, cloves and black walnuts. My Christmassy lemon coconut bars contain none of these ingredients. As you would imagine, lemon and coconut are the primary flavours. But these bars are loaded with brown sugar, and the more I considered it, the more I thought that must be the true flavour of Christmas. It shows up in most Christmas cookies, and even makes an appearance in some of the traditional savoury dishes, like mashed sweet potatoes. I use brown sugar in many of the baked goods I make, so theoretically, they should taste like Christmas, too. So, why don’t they? I think it has to do with the concentration of brown sugar. We tend to prefer baked goods that aren’t pure sugar bombs. For my everyday baking, I usually stick to less sweet items. Not so at Christmastime. Then, I throw all caution to the wind and make the most decadent sweets possible. The lemon coconut bars fall into that decadent category, containing more sugar than flour. They taste like the decadence of Christmas. And, perhaps that is the true taste of Christmas–the taste of decadence.